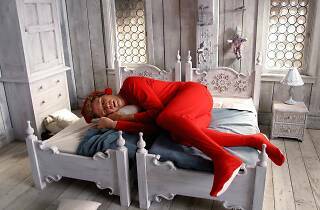 These two films go together like maple syrup and spaghetti—a combination we've grown to know and love through Will Ferrel's sugar-crazed, yellow-tights donning character in Elf. Kick off your Saturday night with this holiday cult classic, followed by a screening of your favorite foul-mouthed, alocholic Kriss Kringle in Bad Santa. There's really no better way to get into the holiday spirit.